We see a lot of concept devices roll through all of the time. The vast majority of concept renders are for rumored Apple products, but there will be the occasional concept of a BlackBerry device, or even an official concept from Nokia. 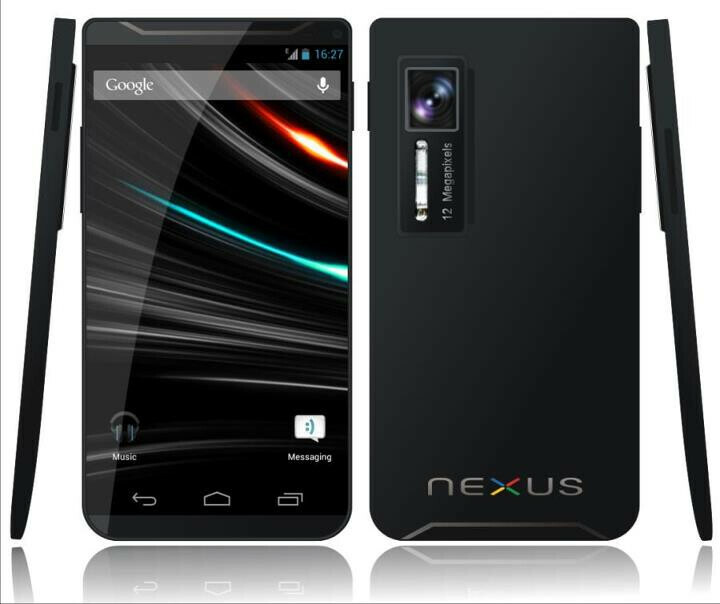 One thing that we don't see too often are concept renders for Google Nexus devices. Sure, we'll see the occasional render designed to fool people into thinking it's a leak of the real product, but that's not quite the same as a concept. Today, we saw a pretty interesting concept render for what would be a Samsung Galaxy Nexus 2. The concept was designed by Killu-Chan, and shows a Samsung-made Nexus phone that would feature a 5" display at 720p resolution covered in Gorilla Glass 2. Inside, the concept calls for 32GB of storage, 42Mbps HSPA+, Bluetooth 4.0, microUSB 2.0 with MHL and USB on the go. The ridiculous part is that the concept also calls for 8GB of RAM, which we're really hoping is just a typo, because if that's really an expected feature of the designer, we may just have to throw out the entire idea. Rounding out the internals would be a 2GHz quad-core Tegra 3 and a 3200 mAh battery. As far as cameras, there would be a 2MP front-facing camera, and a 12MP rear camera. Also on the back would be an LED flash, and in addition to the current set of camera features, the designer is calling for simultaneous HD video and image recording. All of that sounds nice and dreamy, some even seems reasonable. The design itself uses a teardrop shape that is expected to be part of the iPhone 5 design. The other major part of the design is that it has no bezel on the sides of the screen. This is a fairly common design point, but it's one that we don't really expect to take off any time soon. It's a good idea to shrink the side bezel in order to fit a larger screen, but to take away the bezel all-together would cause too many issues with accidental touches. Overall, it looks like a pretty interesting concept, but not one that we're really expecting or would even be too excited about. It looks sort of like a smoothed-out DROID X. It's never a good sign when a concept design is more interesting for its spec sheet than the design itself. What do you think? Are we being too hard on it? holy christ chex!! 8GB of RAM?!?!?! 12mp camera? 2GHz quadcore processor? ...i think i need new pantalones. I wish pantalones was all i needed after reading this... must...buy..now! Love how it has the extreme specs of 8gb of ram, 12 mb rear cam and only a 2mp front cam? At that point, why not 5? I'd still buy it anyways. Yea this won't happen anytime soon, it's way too far of a leap from the current nexus. Maybe the screen size to a 4.85 to 4.9 in. But the cam won't pass 8mp. All the other specs are ridiculous. They won't make it better than their flagship phone. Maybe just a bigger screen. yup and lacks too much detail. yea, it screams "droid razr/X" to me. Samsung's product wouldnt look like that. If they said that was a wanna-be moto nexus design I could have went for that. The specs are rediculous. Nexus phones are almost never the best of the best in specs. Id be quite happy with an A15 exynos/ OMAP5, 1.5-2 gig of ram, and a SA+HD screen in RGB and an 8mpx camera with an upgraded lens. That seems a lot more plausible than that wishlist for a phone from 2015 lol. yet it gets 80+ likes on the facebook page and too much attention... i have to admit I'm jealous and I could do a lot better than that. LOL. but seriously though. the specs are too ridiculous. And is way too thin for the mentioned battery. Take away the obnoxious camera bump and I'd still buy it though. The bezel is too small to protect the phone. The first time it's dropped say goodbye Nexus. Not if it's that bendable Samsung Amoled, they can just wrap it down the sides and only display images on within certain parameters. Hey anything is possible, but a whopping 8GB of RAM is madness. The Tegra 2 Quad Core I'm not too sure about, perhaps an Exynos 45xx or OMAP5 Quad Core and BT 4.0, NFC, HDMI out, Wireless N, and all the neat bells and whistles should make for one beast of a phone. 2GHz will be the lowest frequency for A15. They manage 2.5 easily. 8GB of RAM is pure b.s. though. Hopefully, Gorilla Glass 3 will be much stronger. 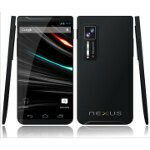 I kinda like it.... i'm not a fan of nexus! These specs are real!!!! Or will be in 2-3 years. Come on 8GB of RAM? I can understand the camera and screen size but the processor and ram are way too good to be true at this point. A smartphone camera with 41MP was thought to be almost impossible in 2011, but the Nokia Pureview was able to do it. Anything could happen, an SoC as powerful as an i7 could not be too far in the future.